All-Flo Plumbing’s service vans are mini shops on wheels that can handle the majority of your plumbing needs. 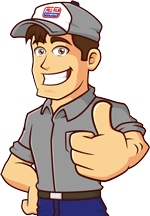 Whether it be a drain that needs to be unclogged or a faucet that needs to be repaired or replaced, WE COVER IT. Here are some of the products stocked on All-Flo Plumbing trucks. 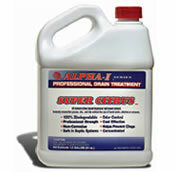 NOTHING GETS DRAINS OR SEPTIC TANKS CLEANER! food particles, paper and cotton. 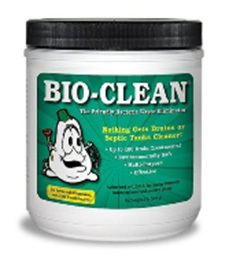 Bio-Clean will not digest or have any effect on inorganic materials such as plastic pipe. It does not produce heat, fumes or boiling like chemicals do. It instantly emulsifies grease, oils and fats without the use of harsh acids, alkaline or solvents. it eliminates foul odors from drains and grease traps. 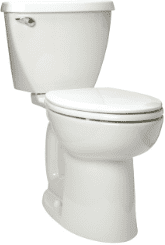 Regular use will keep drains clean and flowing smoothly.